Q: The Winged Serpent is a truly cheesy monster movie with many fun moments, filling a goofy storyline, adding to a wonderful fantasy work and all from the talent filmmaker Larry Cohen, who wrote and directed this insane flick. Larry created this film in frustration, after a foul-up on another project in New York City, and not wanting his money or hotel room, he prepped a shooting script in six-days, obtaining actors and arranging pre-production all set in the same city, earning the interest of legendary industry producer Samuel Z. Arkoff. Now, this movie, involves sacrifices, T&A, twisted humor and crypto-zoology, as ‘Q’ represents Quetzlcoatl, an Aztec god who was half reptile and half bird. 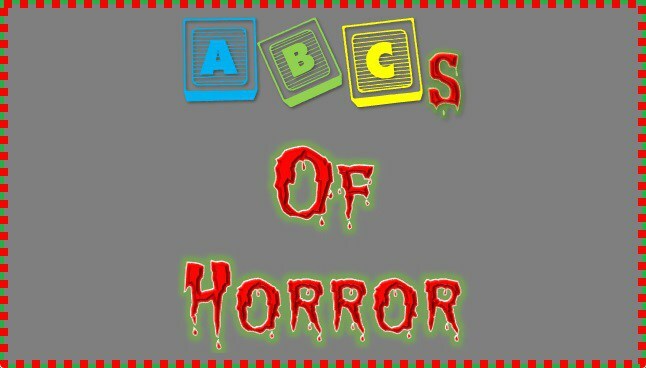 However, that doesn’t include everything, no, when dealing with a b-movie; it delivers gory horror gems and crossover to the wisecracking crime story genre making it a must for the ABCs of Horror. The very talented method actor and pianist, Michael Moriarty (worked with Larry five times in his career) plays Jimmy Quinn, a pitiful spineless criminal who, after a botched diamond heist at a place called Neil Diamonds, where cohorts die and his luck runs out as he loses the jewels on the city street. Cue police sirens and needing to hide out, after his lawyer ditches him, twitchy Jimmy ascends to the most remote place he can think of, the very top of Chrysler Building. There he discovers a very large hole in the tower leading to a giant nest, complete with an egg and other tidbits all belong to the flying lizard. Q meanwhile begins devouring people on their rooftops, sunbathing, working, or enjoying pools, with crude talons. A couple of detectives, Shepard and Powell (portrayed respectively by David Carradine and Richard Roundtree); investigate the mysterious deaths, while other killings involving Aztec slaying sacrifices coincide at the same time. The beast chomps on people in graphic fashion, biting off body parts, with some nice gruesome deaths and gore for the b-movie fans. Jimmy sees an opportunity for himself extorting money from the city in exchange for his information. It all culminates in an aerial attack very reminiscent of King Kong (1933) except the police station inside the peak and the beast circling them, while the film, pays tribute to Ray Harryhausen, with regard to his stop-motion animation to create this creature. The movement of the Quetzlcoatl, contains many eerily similar to both creature in 20 Million Miles to Earth (1957) and the Kraken from Clash of the Titans (1981), all of it incredibly entertaining, the CGI of today likely ruin this gutsy silly but fun film. Two interesting trivial notes for this production, first Bruce Willis, originally had a solid audition for the role of Shepard, but the filmmakers, namely backers insisted on a named actor, hence David Carradine winning the ruthless role. Secondly, two print endings exist for the movie, and this reviewer has had the pleasure of seeing both. Would you like to know the differences? Then here we go, the original theatrical print, as well as the first time airings on HBO and Cinemax showed the new egg hatching and the camera zooming inside to black and then a title card stating that Jimmy’s character sued the city and got $1 million tax-free. However, all current versions roll the credits after the new egg hatches, suggesting the frowning on extortion and government corruption as just too evil for the morality in movies. Simply, this entire production contains, great performances, with an oddly created script, and fine fantasy mixing well with horror, which delivered a cult following and repeating the statement, no one makes the gung-ho mentality of Carradine, nervous energy of Moriarty and the sheer insanity of Cohen.